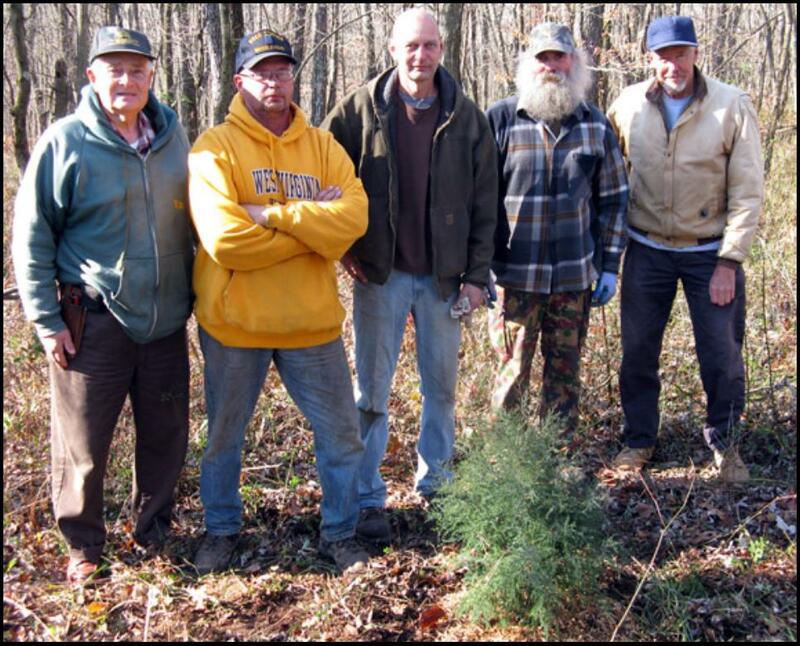 Van Ross Wade, owner of Wade and Gatton Nurseries, Bellville, stands with Greentown Preservation Association volunteers after the planting of five cedar trees he donated at the site. From right are Wade, Arnold Thomas, board member Ralph Arms, vice president Tony Smith and Darrell Lindner. The durable and fragrant cedar tree was sacred and served many ceremonial purposes among Indian tribes, including the Delaware or Leni Lenape. Local history stories told of Greentown Indians attending the funeral of a white settler and laying cedar boughs on his grave. Branches were waved to purify the interiors of new structures. Parts of the tree were burned as incense, and the smoke used in cleansing and healing ceremonies. Cedar bark and wood also was used in construction — from canoes to houses.